All the post offices within a Division are connected to each other in many ways. One way is, sending cash from one office to other. For instance, Head Office sends cash to Sub-Offices and Sub Office sends cash to its Branch Offices. The below T-code is used see the details of cash remittance to sub-offices or branch offices. 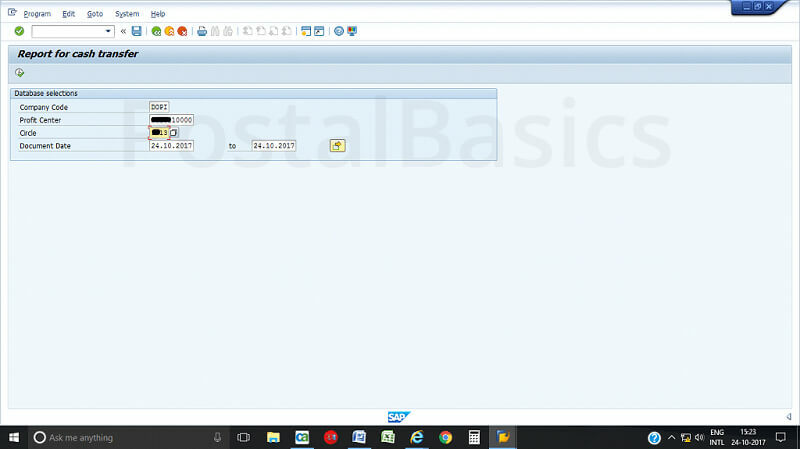 In SAP, type the T-code zfi_cashtransfer. Now, click on Execute. You will see the below window. 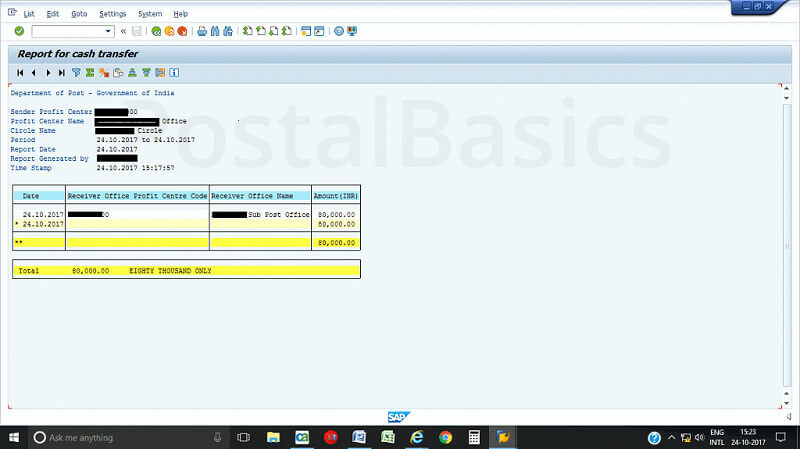 The above screen shot shows Profit Center Number, Office Name, Amount etc. 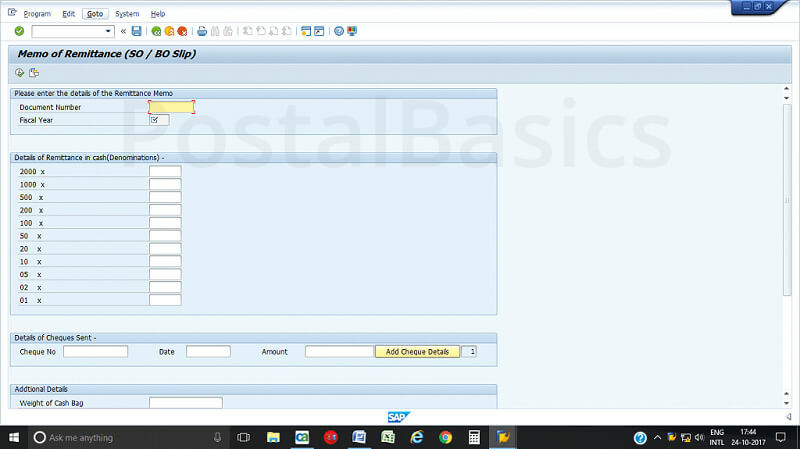 Upon clicking the column showing Profit Center Number, you will get the Document Number of perticular remittance. Using this Document Number you can generate Sub-Office cash slip or Branch Office cash slip as expalained below. Enter the T-code zfi_cashdeno. You will see the follwing screen. Enter the Document Number, Fiscal Year-2017, Denomination of the currency notes used and weight of the cash bag. Now, click on Execute. A SO/BO slip will be generated. Take a print of it and send the cash along with the slip.